Newborn insert – 3 layers of microfiber. Full size insert – 5 layers of hemp cotton. Thirsties new One-Size Pocket Diaper is ultra-absorbent, a cinch to use, and designed to provide a great fit for most babies from 4 to 18 kg (8-40 lbs). Pairing an adjustable rise with their signature leg gussets ensures messes will be contained whether your baby is tall, short, slim or chunky. 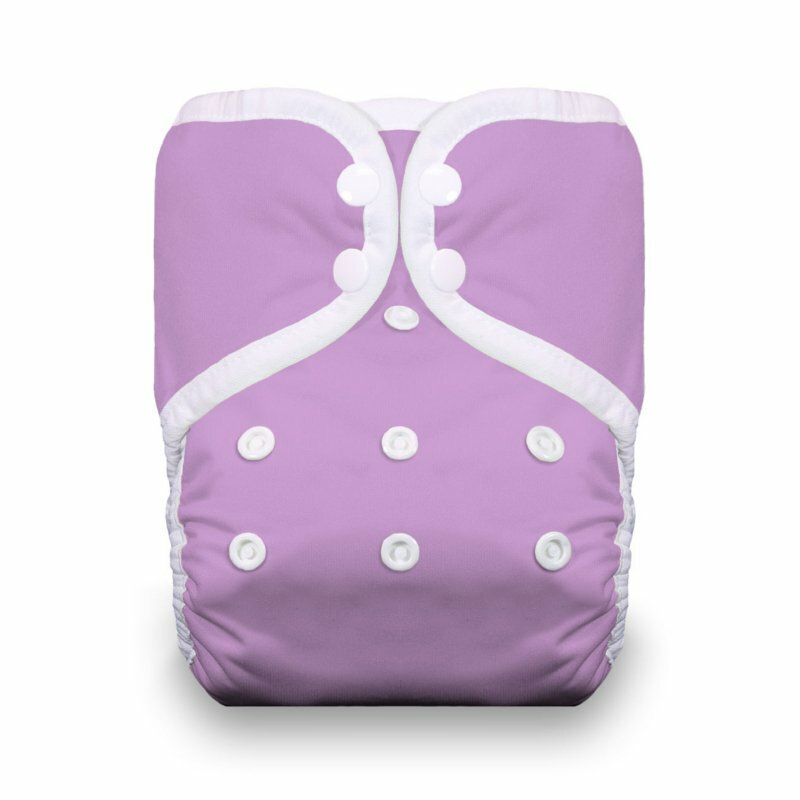 The included inserts provide eight thirsty layers of absorbency, making this a dependable diaper for both day and nighttime use. Plus, there is no need to remove soiled inserts before washing, toss the Thirsties One-Size Pocket Diaper in the washing machine and the insert will agitate free during the wash cycle. So many amazing features! The handy pocket design features openings on both sides of the diaper between the stay-dry microfleece and waterproof layers. These openings allow for easy insert stuffing from either side of the diaper and make for easy cleaning. The included inserts feature three layers of serged microfiber snapped together with five serged layers of hemp jersey; eight layers in all! 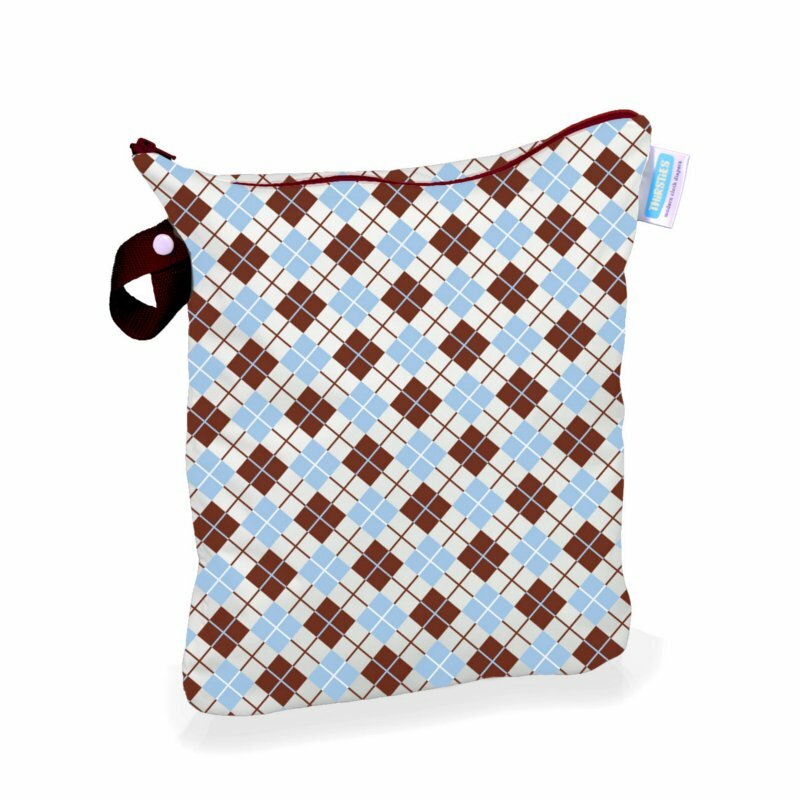 When using both inserts with a newborn simply fold down the hemp insert and snap together with the microfiber insert. Microfiber is a fast absorber designed to rest closest to your baby’s skin (beneath the microfleece sleeve); hemp is a stable absorber and pairs perfectly behind the microfiber to add more absorbency and prevent compression leaking. Be the first to review “Thirsties One Size Pocket Diapers” Click here to cancel reply.